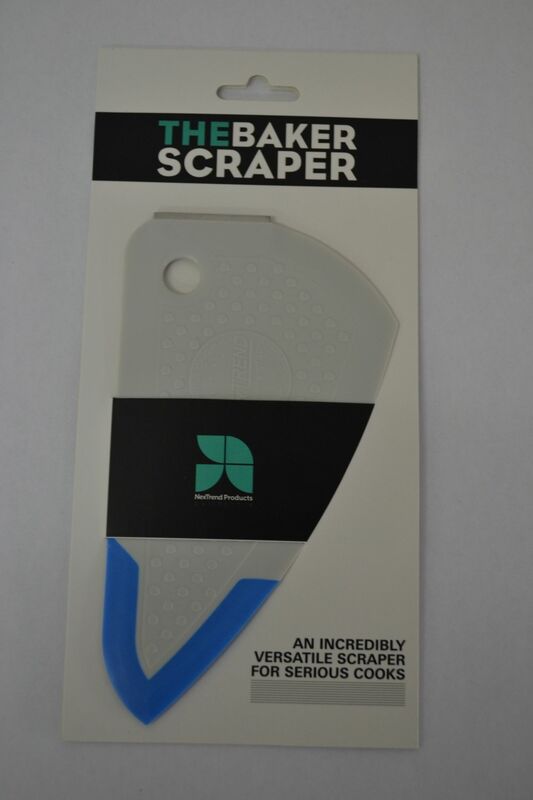 The Baker Scraper is a multi purpose kitchen tool with a soft tip for smooth functional scraping. 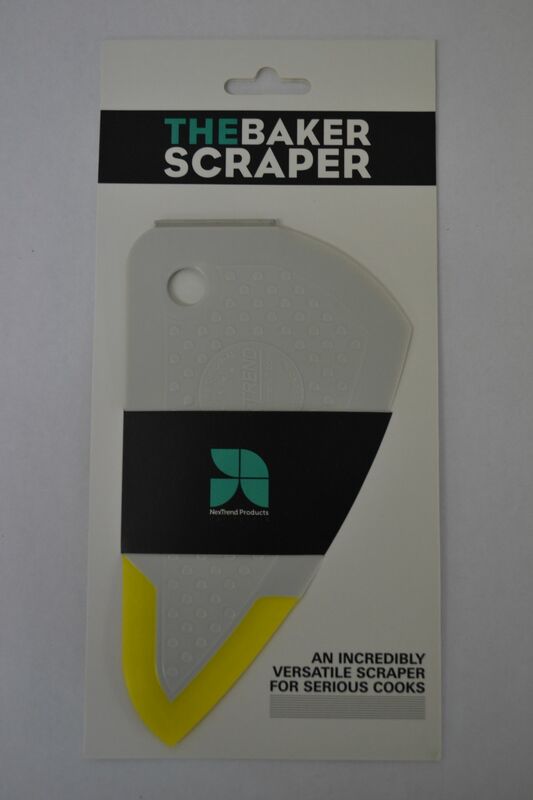 It has 5 angles for bowls, pans and trays also a long straight edge for use on cutting boards and work-stations. 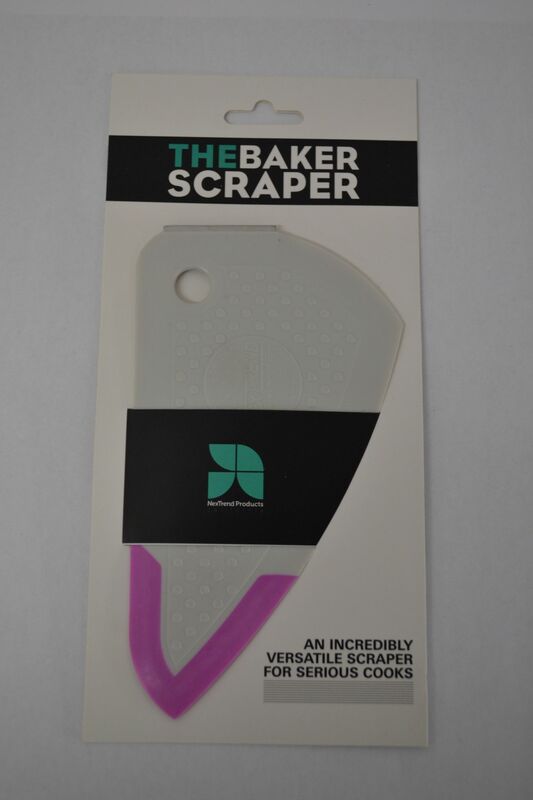 A small stainless steel blade at one end adds yet more functionality for removing burnt on food or stubborn sticky stuff. Available in Purple, Yellow & Blue.